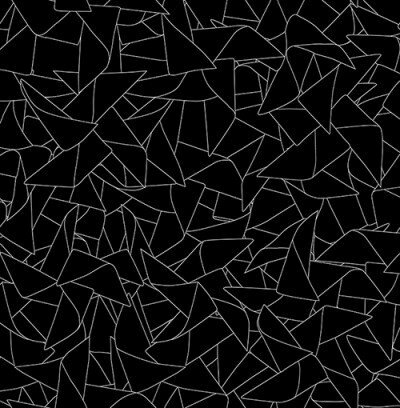 A graphic bold pattern created from layered stylized children's windmill toys Shown in white on black. Other colours available. Traditional paper backed wallpaper. Please request a sample for true colour match. Pattern repeat 53cm.